Have you ever tried mineral makeup? I have tried many high end brands and always end up breaking out or the makeup ends up melting off my face. I think my iPhone has worn more makeup then I have in the past. I have recently come across Younique mineral makeup. Although I am skeptical about changing my foundation due to sensitive skin issues I have. I absolutely love the eye shimmer and mascara. First things first…what exactly is mineral makeup and how does it differ from regular makeup? Well, minerals such as iron oxides, talc, zinc oxide, and titanium dioxide are micronized and then grounded/milled into tiny particles to create the makeup. Mineral makeup is usually preservative free and fragrance free unlike conventional formulations. Younique offers many great products. My favorite products are the Moodstruck Minerals Pigment Powder and the 3d fiber lashes. With my regular makeup I notice that by the end of the day my eye make up has creased or smears. The Moodstruck Minerals stays in place and has a beautiful bright color. The 3d fiber lashes is exclusive to Younique and is amazing! 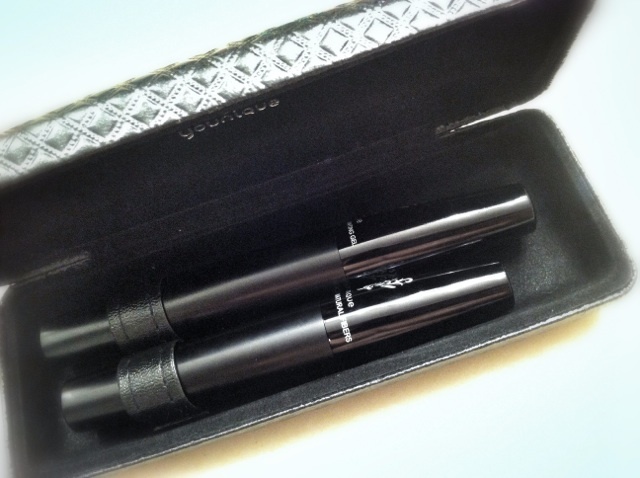 I already have long lashes but this extended and thickened my lashes creating a very sultry look. See for yourself! Previous Shhhh….A secret is revealed! I would love love love to win the mascara. If I did I would probably cry. Seriously no joke I’ve been eyeing it for a while!